I can't deny how much I really like Indian food. Here's a couple of Indian vegetarian dishes you may want to try assuming you have an appetite and/or toleration for spicy food. 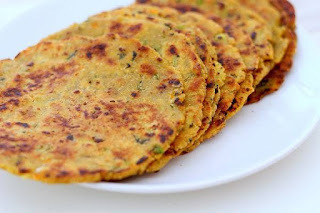 Paratha is Indian bread. While curry tastes good with rice but I order paratha to go along with it. It's got that chewy texture and spicy taste that I love. I usually buy frozen ones from the grocery store. 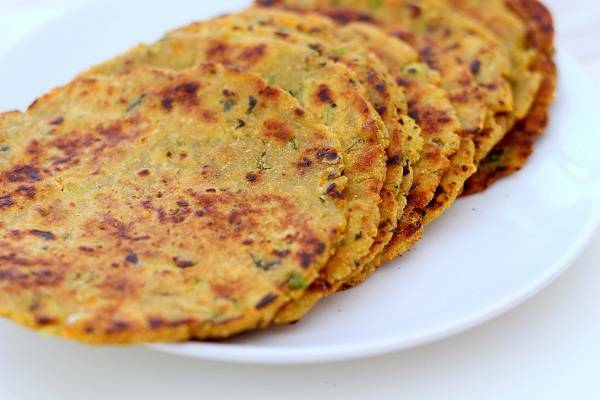 Fortunately, there are instructions on how to prepare them but it can get very tricky. I normally don't like okra dishes when they're cooked Filipino style. But Indian okra curry happens to be one of my favorites. I guess the mixture of turmeric and the other spices help change the okra's flavor. 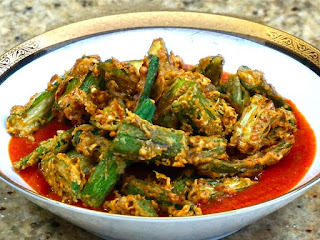 I do eat okra but I'm not too fond of it unless it's prepared as okra curry. I want to call this vegetarian curry as Indian chopsuey. 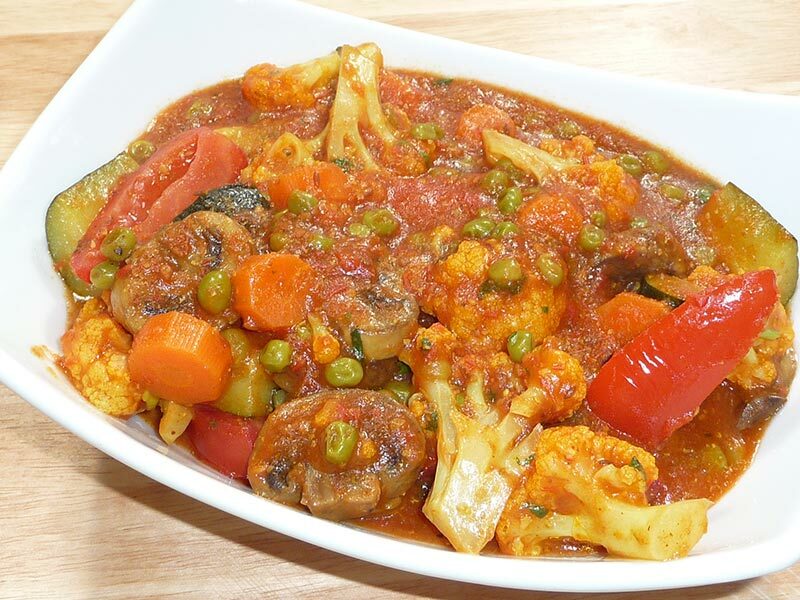 While I do like chicken curry but I tend to long for meatless curry. I may enjoy the way Chinese, Japanese and Filipino do tofu dishes but there are times I want to have spicy food. 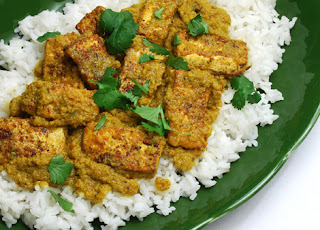 Tofu curry is a good retreat from the traditional way of preparing tofu dishes. 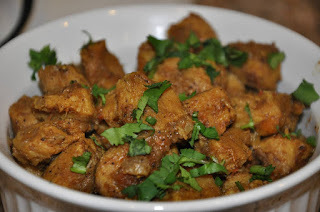 For meatier texture, the use of dehydrated tofu turned into soy chunks gives it the taste. If you're gluten intolerant then this is for you. I do like the use of gluten for curry but soy chunks give more protein. Battura is puffed bread served with some garbanzo beans which is called chole in Indian. 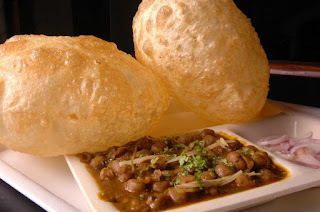 The bread has some yeast to allow it to inflate and the dough is usually rested for eight hours prior to frying. The newly cooked bread comes out pretty puffed and table napkins are placed under it to absorb the grease. 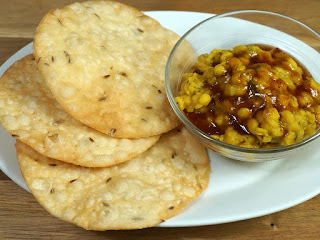 Pakwan is an Indian bread served with garbanzo curry. I find the pakwan bread (yes, it's spelled that way the same way Filipinos would call watermelon as pakwan) to be pretty hard to break. Garbanzo curry can also be served with a bread called kulcha. 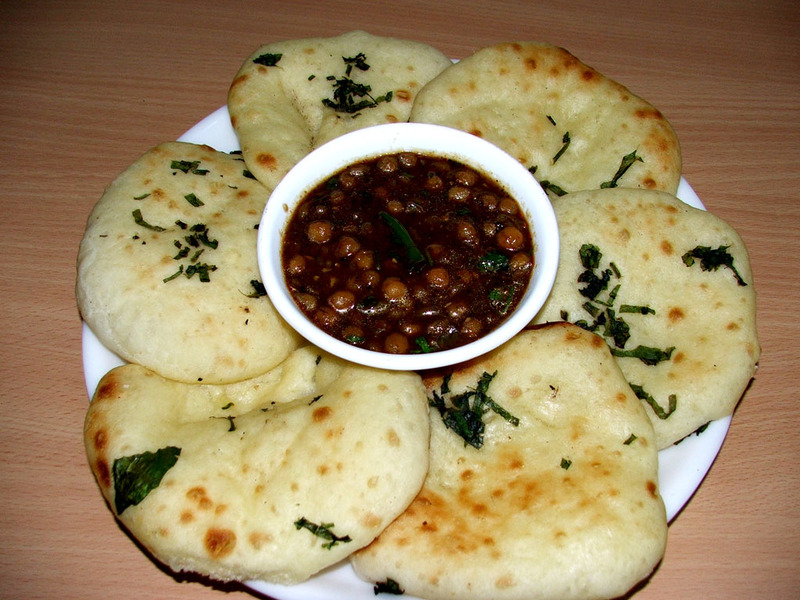 Kulcha is slightly leavened bread infused with various spices.